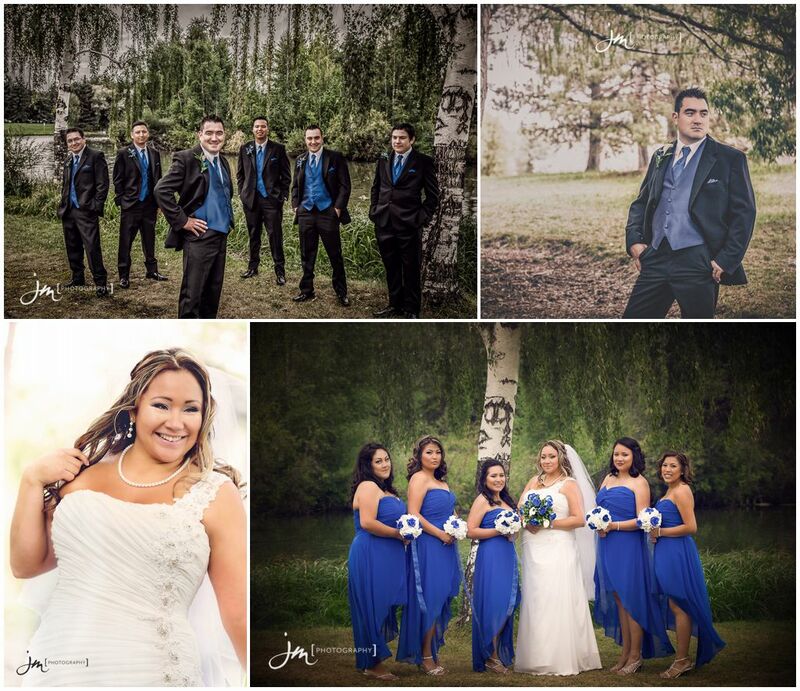 Above is the beautiful Wedding Slideshow that came with David and Vanessa’s wedding package. It was created from a selection of their best photos captured on their special day, mixed to their weddings song How do I Live by Leanne Rimes. 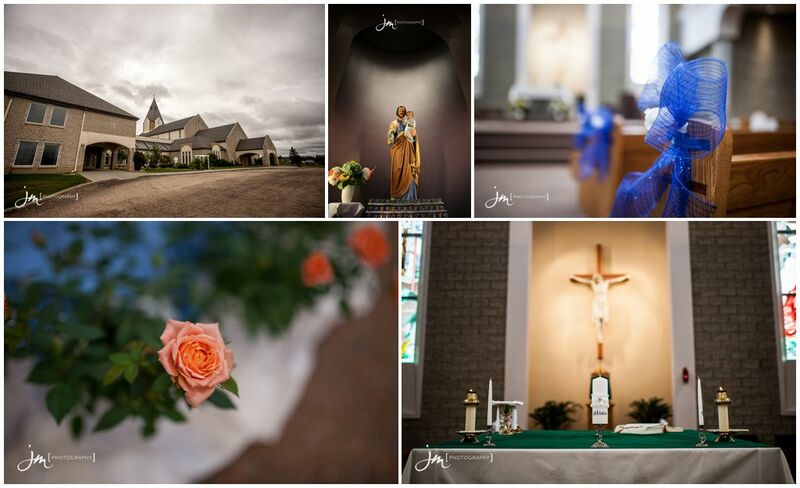 Their day started off at the beautiful church that David and Vanessa attend. The main hall in the Chaple can seat 1,100 people and at the entrance you a greeted by a stone baptismal font that really sets the stage for the majesty and reverence of the entire room. 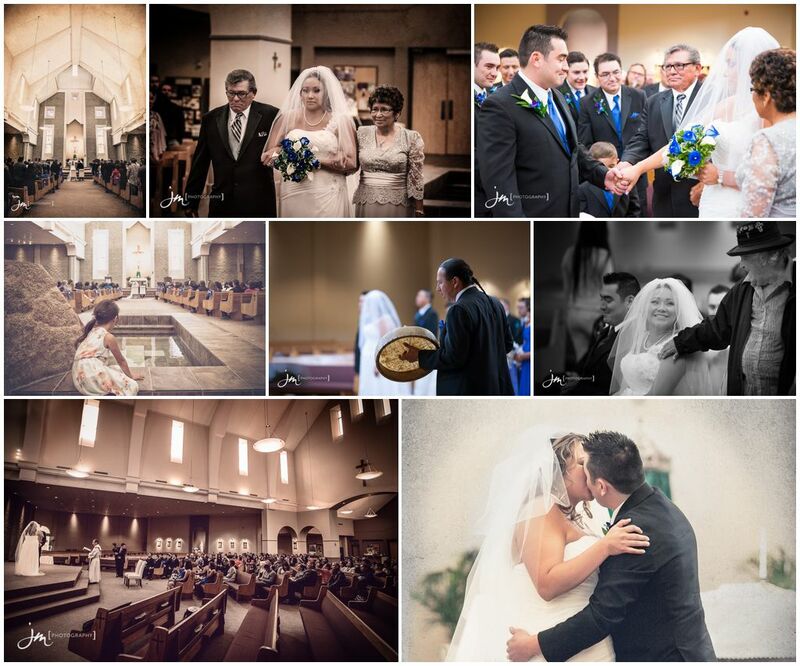 During their wedding ceremony they observed a full Catholic mass and it was an incredible occasion from the first moment Vanessa entered the room till the conclusion of the ceremony. 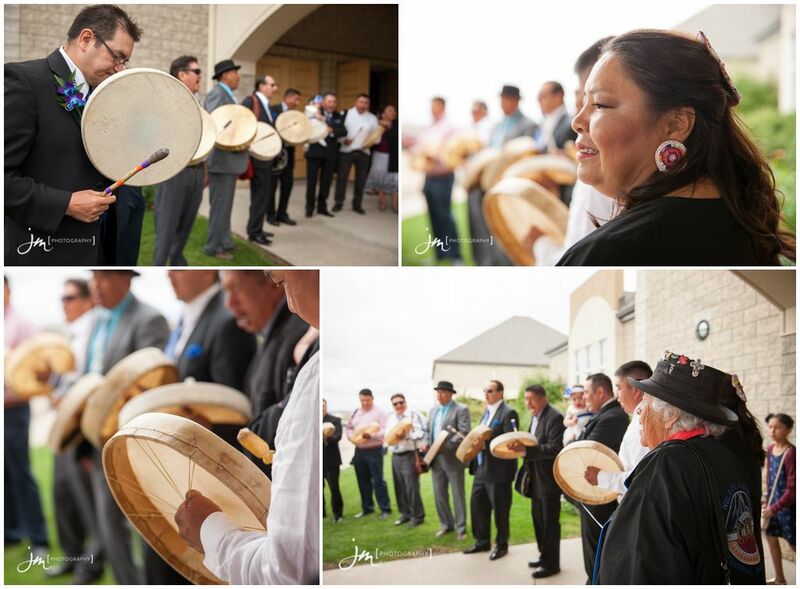 The couple exited the ceremony to the drum beat and sing of their tribe members. 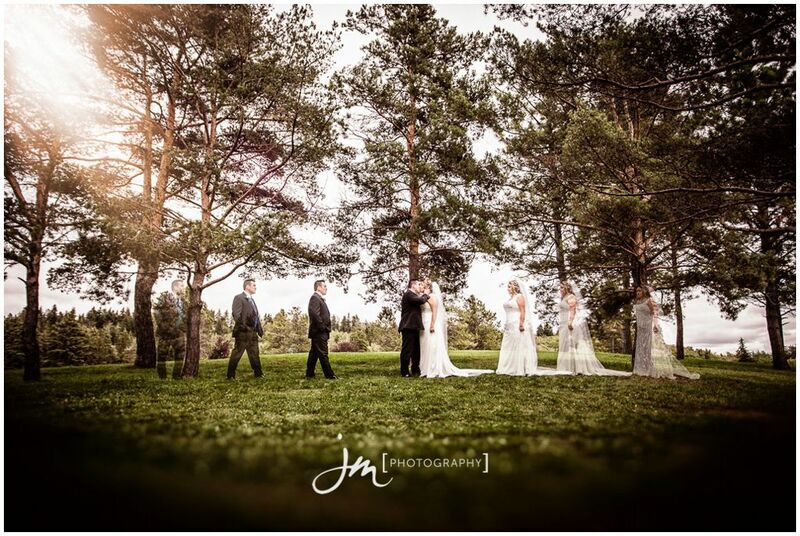 We all met at the back side of William Hawrelak Park, the part that backs onto the North Saskatchewan river for their family and formal photos. The grooms father let us know that in their culture the birch tree and nature in general played a great significance to them. 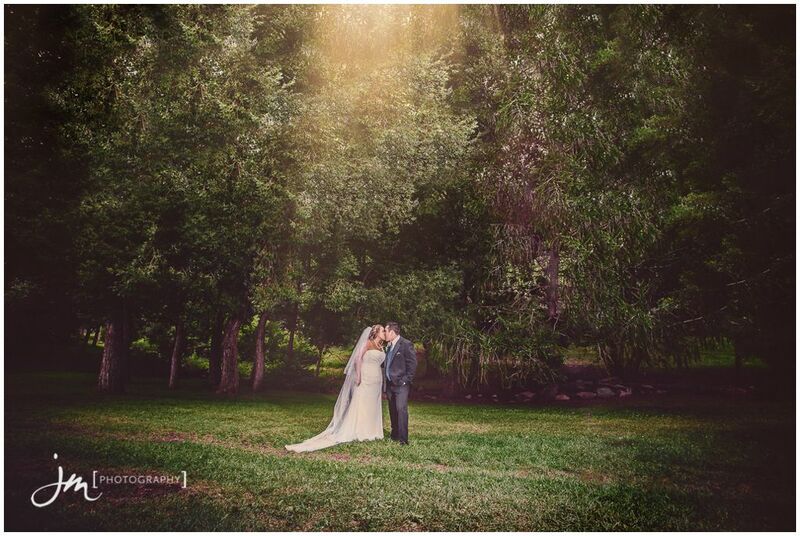 He had found a birch tree along the banks of the pond in the centre of the park and we were able to capture some really beautiful photos of the wedding party by the tree. The open fields, pond and tree groves made for some incredible photos and even though the Edmonton Rock Music Festival was in full swing when we arrived you would never know it from the photos. 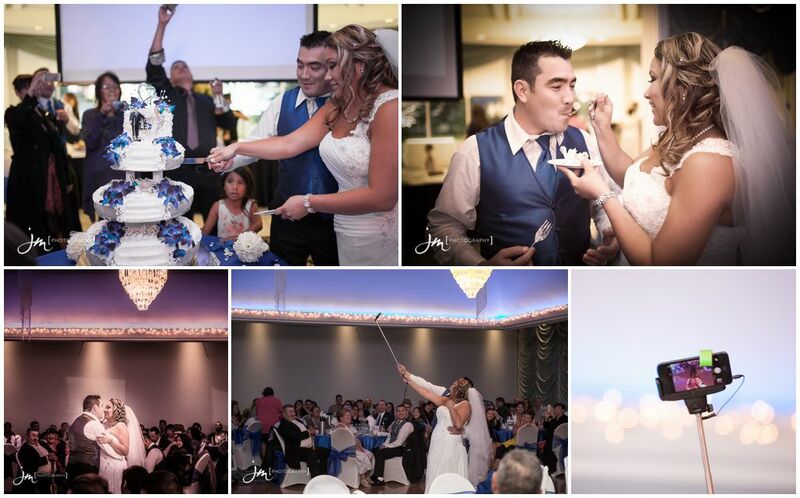 Their reception was held at the beautiful family owned European style hotel nestled near the hear of downtown Edmonton. The Native American’s of the Stoney Plain area have such a rich heritage and set of traditions, that we had the privilege to witness and capture. 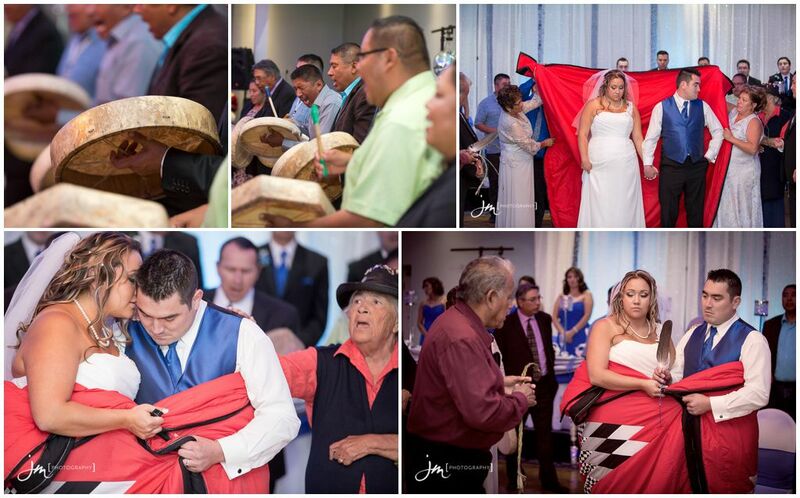 From the rope ceremony, dancing, signing, drumming, and finally the blanket ceremony everything was so spectacular. Another notable and rather funny moment was during the couples first dance they pulled out a selfie stick and snapped a photo of themselves. David is an avid hockey player and fan and their amazing hockey inspired wedding cake was made by family member Yvette Alexis. An online gallery of all their images is available for the next 30 days. From the online gallery you are able to favourite images, order prints and share the gallery with your family and friends. The gallery can be accessed via the link below and you can contact David and Vanessa directly for their secure password. We are so fortunate to have had the opportunity to share David and Vanessa’s special day with them and we wish them many years of happiness together.